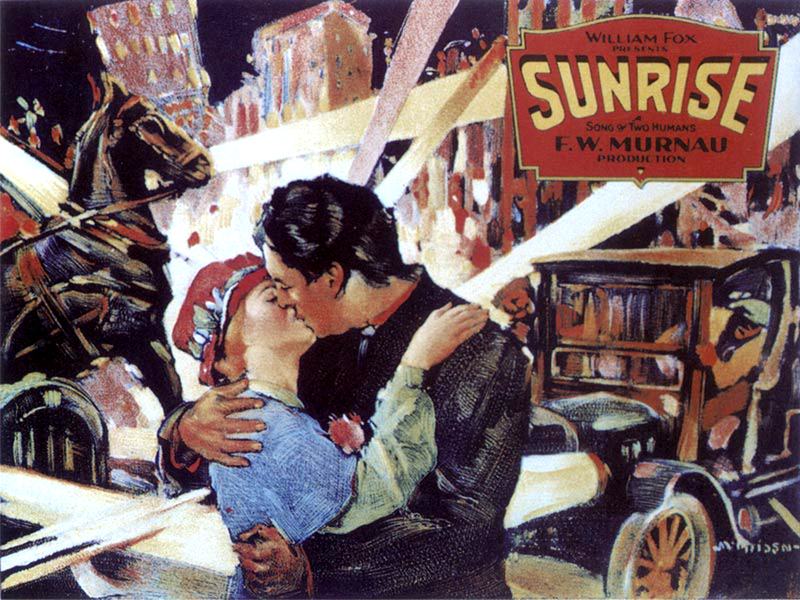 As someone who is a big fan of silent cinema, I could not recommend F.W Murnaus’s “Sunrise” enough. 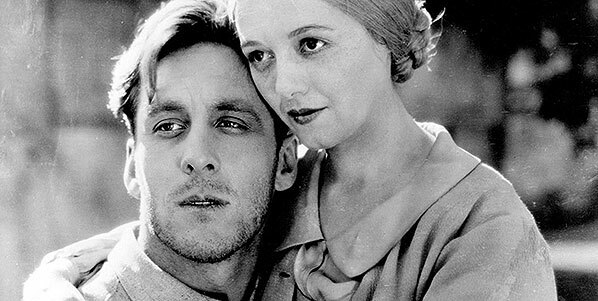 Currently standing at no.5 on Sight and Sound‘s best films of all time list, Sunrise is a magnificent feat in silent filmmaking and was technically game changing. Some critics say that Sunrise was the peak of all silent filmmaking and after seeing the film again recently it is hard to disagree. The film has a very unique structure that has come under some criticism. The first act of the film is very expressionistic in a 1920 German Expressionism way. F.W Murnau previously worked in Germany and directed expressionism films such as “Nosferatu” (1922) before leaving Germany to work in America and starting work on Sunrise and three films after, before his tragic death in 1931. The second act surprisingly feels very American golden age and gets very melodramatic but in the best way possible. For me this style shift works because Sunrise is the perfect example of blending styles. Murnau brought everything that worked about German Expressionism and blended it with the advancements the Americans were making in story telling through visuals and editing. It feels odd at times, almost like it shouldn’t work because of the space between these two types of filmmaking, but it does. Not just enough to make its story compelling and its visuals amazing but enough to evoke just as much emotion in its audience than some of the best talkies ever made. The thing that amazes me the most about Sunrise is its mind-blowing camera work. If you take into consideration the equipment and camera at the time of its making then Sunrise becomes even more impressive. Some shots of the camera tracking seem impossible for the time. A scene at the end of the film that involves a storm on a lake possesses some shots that left me thinking about how it was possible to move the camera in such a way. A scene at a fairground features so many elaborate camera moves that I’m left feeling like I have just visited the fair myself. The way in which Murnau and his crew move the camera is some of the most impressive cinematography in the entire history of silent cinema. Above all of this, Sunrise still manages to be a highly emotional film. The themes of forgiveness and regret shine very strongly through its surface. The love between the main characters is so delicate and pure that even an attempted murder is soon forgotten and forgiven. After seeing how much these characters love each other it is hard to not look past any unfortunate situations that erupted before we witness this love. After you see Sunrise I do not think you will be disappointed. For me, every element that could work does. The film is a lovely piece of silent cinema, and will forever be one of my favourites. Sunrise, if you haven’t seen it yet, then do give it a try. I feel like you left a lot out. Simply saying it is great, does not express that it is. Not disagreeing with the merit of the film. Also, the only American aspects were the budget. The scope tracking shots were not fathomable in German film culture, but it maintains it’s expressionist feel throughout. The juxtaposition of city and country life as good and evil along with its overt sexualization of women as the answer to marital woes in referring to gender roles are interesting remaining modern.